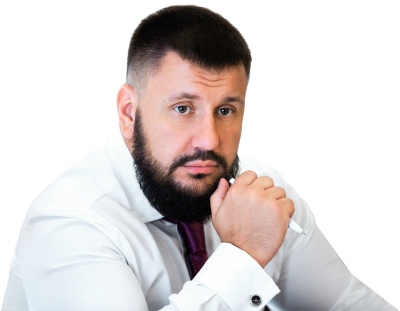 Oleksandr Klymenko: I'm in Ukraine in order to become the voice of every person, who can not be heard today ⋆ News ⋆ Official website for Oleksandr Klymenko. Oleksandr Klymenko carried out a press conference, where he answered all the thorny questions of journalists and told about his political agenda. “I know that you expect sensational and dramatic statements today. In particular, you are waiting for the two answers of the two main questions. Will I come back to Ukraine? Will I go into politics? The answer is – yes. Yes, I am going back to Ukraine. And yes, I am in politics. The main goal of political persecution, which is conducted against me, – is not to allow me to tell about the alternative path to the country, another way of development of the state. I am terminating such practice of restrictions. I will use all the technical and technological capabilities in order to communicate with the Ukrainians, to talk loudly and effectively about all the existing problems and to search for its resolving together, “- said Klymenko at a press conference. The politician stressed that he understands the problems of Ukrainians «better than plethora politicians, who are in the country today». “I have nothing to be afraid of and I have nothing to lose. The test period I cope with during last one and a half year, showed clearly that I can not be broken and I can be effective. I will talk to people, and I will speak for them. On behalf of those, who are intimidated, who was not asked about their concerns and desire. Their opinion has become inessential for the authorities. I can observe those, who do not agree with what is happening, who does not see and does not understand, what is going on throughout the Ukraine. There are millions of us. I have always been responsible for my decisions. Always. And I am ready to take responsibility for those people, who trust me today,”- said Klymenko. The politician answered all the thorny questions of journalists and dispelled a number of myths about his person. In particular, he stated that he had no relationship with the current Ukrainian authorities. In fact, we have no relationship for the one simple reason – we have different view at the development of our country. We have totally and utterly different positions,”- he said. “I ask you not to forget that I was the Minister of revenue and duties​, a Chairman of the Tax service. Nowadays, I know many of the oligarchs and businessmen by their declarations. I am absolutely sure that not all want this information to be public,”- said Klymenko. 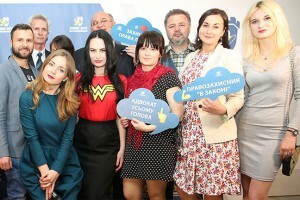 During a press conference Kyimenko presented his new video “Frank conversation“, which demonstrated, how he answers the questions of ordinary Ukrainian family, “he is talking honestly about himself and invites to talk all of the people, who are not indifferent about the Ukraininan future. Klimenko also noted that he is open to a dialogue and ready to answer all the questions about the concerns of the Ukrainians through a social network and a special section of his website #Ask Klymenko.